Noted medical experts will explain how a healthy colon functions and how polyps form and can turn into cancer which, if not detected early enough, can spread to other organs in the body. We'll follow an Akron man as he goes through one of the most common, effective but often misunderstood diagnostic procedures for colon cancer -- the colonoscopy. And we will share a local woman's experience as she is diagnosed with colon cancer and undergoes surgery to remove the cancerous tumor. 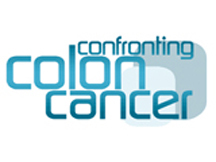 Audiences will learn about symptoms, risk factors, and local researchers who are studying DNA to find more effective ways to detect, treat and prevent colon cancer. Produced by WVIZ in Cleveland.